And then are days when, ah, it’s just nice to get some good ol’ media coverage. Warm fuzzies, if you will. 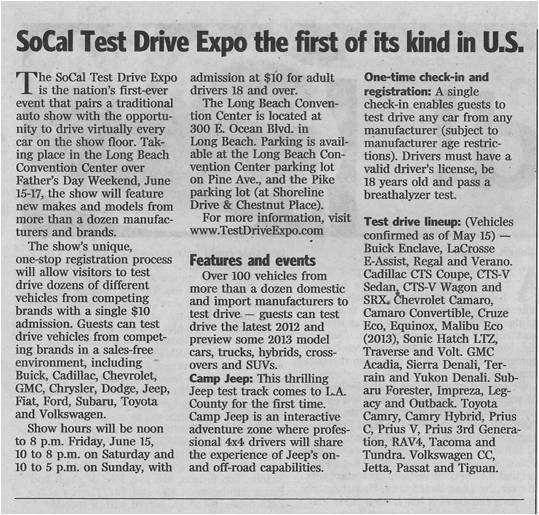 Here’s a nice placement in today’s Press-Telegram, for the So Cal Test Drive Expo.